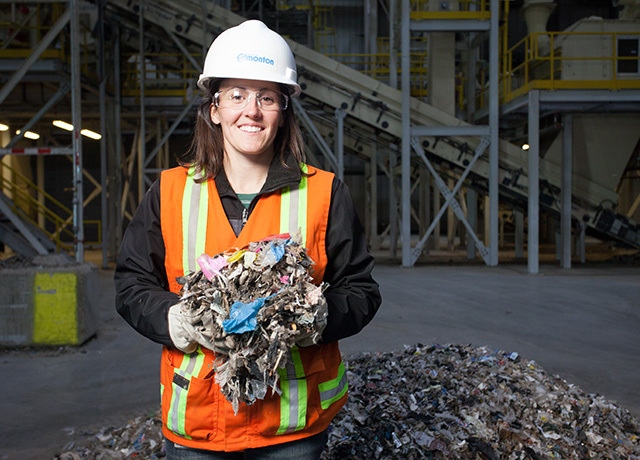 The Edmonton Waste Management Centre (EWMC) is a unique collection of advanced waste processing and research facilities where waste is transformed into useful resources. The Centre is 233 hectares in size which is equivalent to almost five West Edmonton Malls. 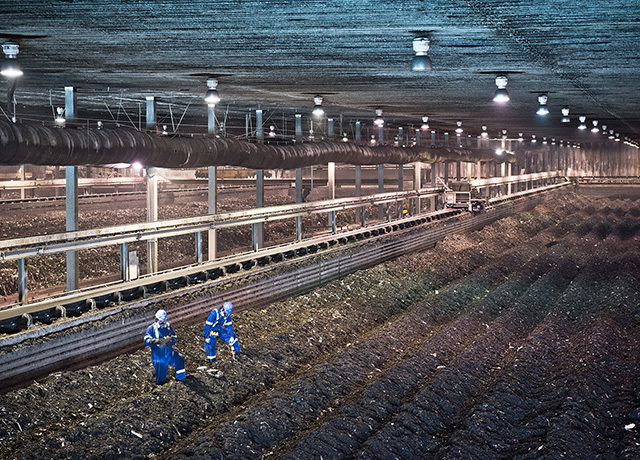 The combined area of all the buildings on site is 80,000 square metres, with the Edmonton Composting Facility itself occupying space equivalent to almost five football fields. On average, 4,500 trucks bearing 9,800 tonnes of material cross the scale every week. Over 15,000 students, teachers and adults tour the Centre each year. 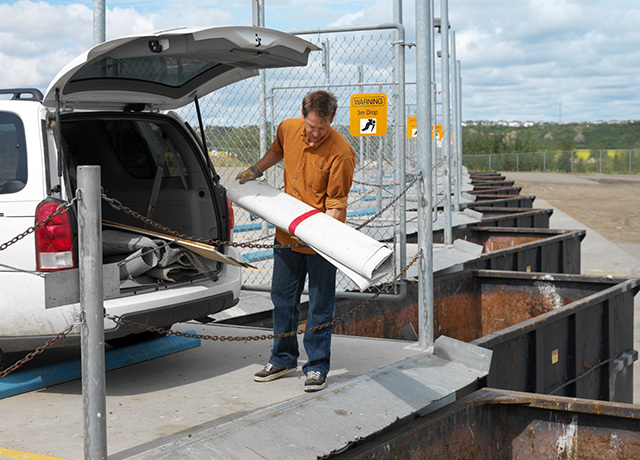 The access point for all vehicles entering the EWMC site. 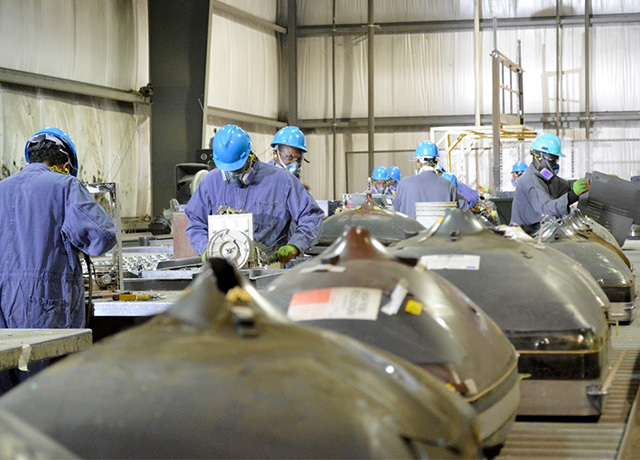 Receives garbage and prepares it for composting, conversion to biofuels and transfer to landfill. Converts organic waste and biosolids into compost. Will convert organic waste into compost and renewable energy. Expected to begin operation in 2018. 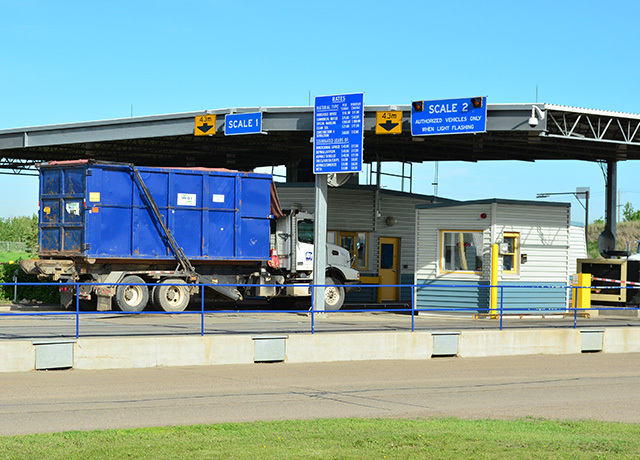 A convenient, one-stop area for residents to safely drop off garbage, recyclables and household hazardous waste for a fee. 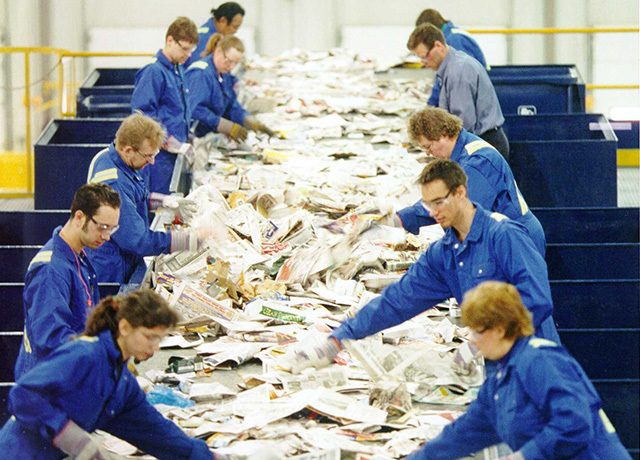 Sorts and processes recyclables collected in Edmonton’s Blue Bag, Blue Bin and Recycling Depot programs. Processes computers, televisions and a wide range of other electronic and electric waste for recycling. An engineered sanitary landfill that features systems for groundwater diversion, leachate collection, landfill gas recovery and native revegetation. Operated from 1975 to 2010. 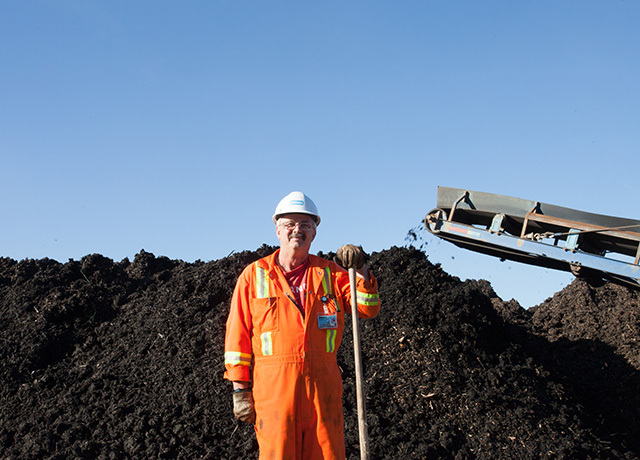 Store biosolids (treated sewage sludge) for composting and other diversion programs. 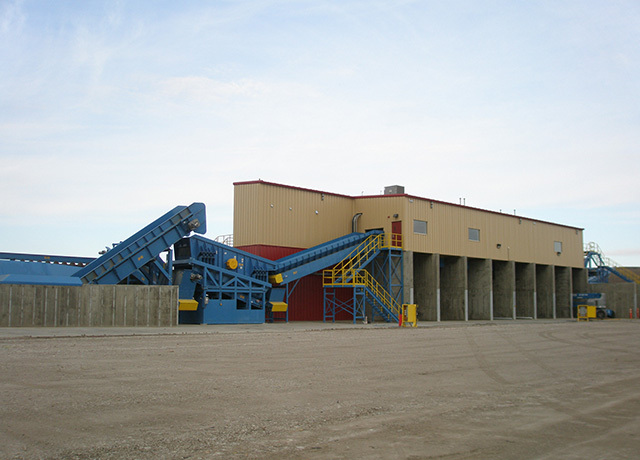 Processes mixed and segregated loads of wood, drywall, concrete, metals and asphalt shingles for recycling. 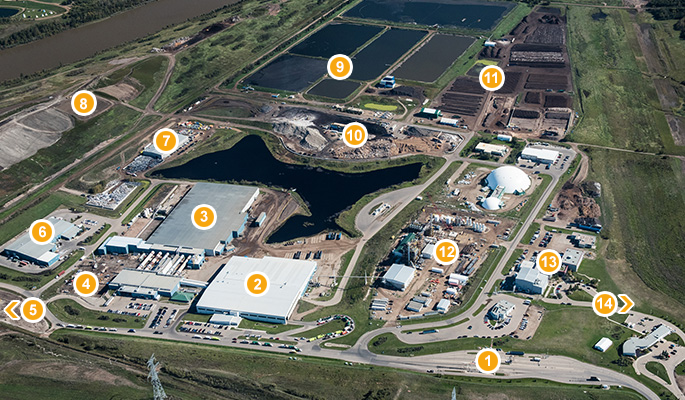 Operational area for composting biosolids and yard waste, as well as curing compost produced at the Edmonton Composting Facility. 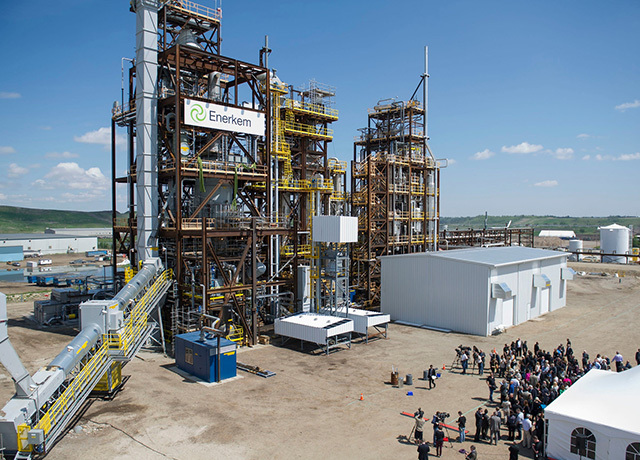 Converts non-recyclable and non-compostable waste into methanol and ethanol. 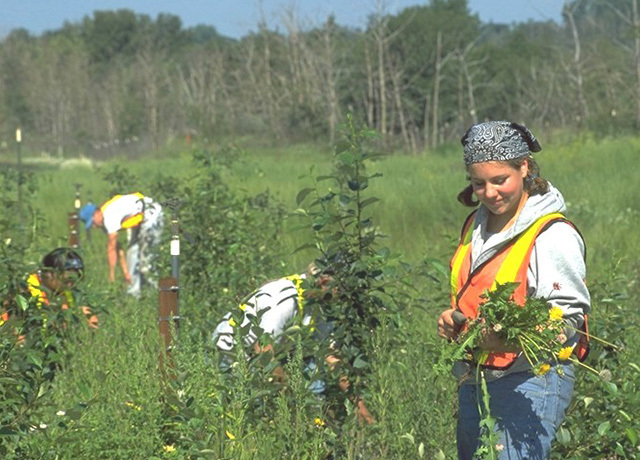 Provides research and technology demonstration opportunities. 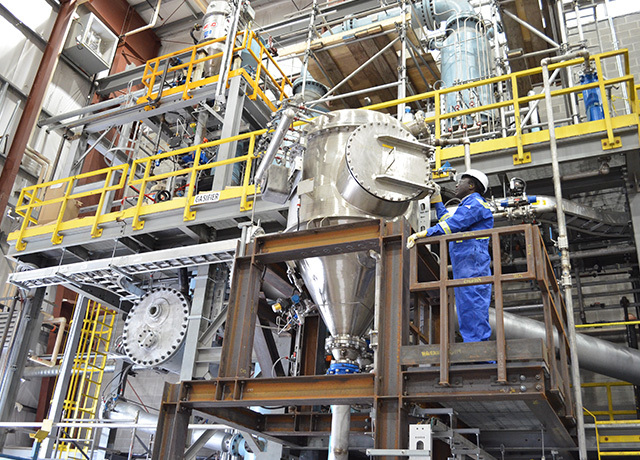 Tests diverse waste feedstocks for gasification into syngas. Houses EWMC management, education and training areas. Public tours meet here.